Let our experts help you with all aspects of Python programming. Let us turn your ideas and visions into working systems. If you don't want to have us run complete projects for you, we also provide case-by-case consulting, allowing you to make direct use of our expertise in your projects. Are you interested in learning about Python application development, project and team management from some of the most senior Python architects ? 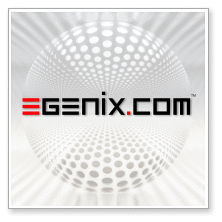 You can now book highly interactive custom whole day coaching sessions from eGenix. Get in-depth knowledge delivered directly to your company and project teams, on-site and with the possibility to have the coach directly address your questions in your company's development context. Problems installing Python, Django, Plone or Zope ? Can't find the answer to a problem that has been bugging you for hours ? Need an expert opinion regarding a difficult technical issue or guidance in choosing the right tools ? Let us help you with our easy to use, no strings attached, ticket-based support service.